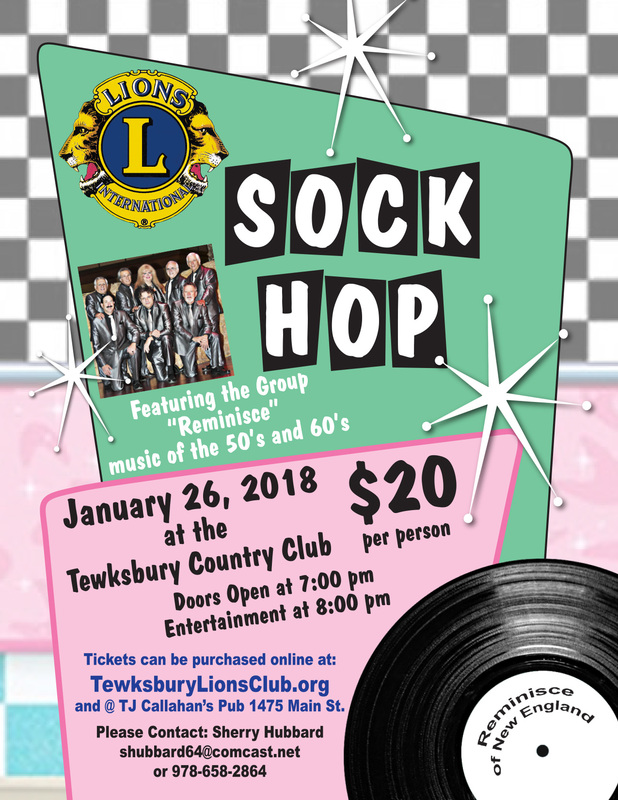 Sock Hop at Tewksbury Country Club on January 26, 2018. Featuring Reminisce Group, the 50’s and the 60’s Music. Last year the Lions gave $7500.00 in Scholarships to deserving Tewksbury Students. With your help we can do it again!